Tarrant County Republican Party Chairman Tim O’Hare is in hot water with his county Precinct Chairs and local activists after appointing the daughter of a Duck Dynasty star to head up the Party’s Outreach Committee. Trasa Robertson Cobern may have a famous family, and nothing says Party outreach to minorities and millennials like “Duck Dynasty,” but she also has a sketchy voting record as a City Councilwoman in Hurst. The Republican Party has this thing called a platform which goes into a lot of detail about the Party’s beliefs. Shockingly, this platform does not call for raising taxes, spending other people’s money like it’s going out of style, or keeping red light cameras for revenue generation. The platform actually calls for lower taxes, lower spending, and getting rid of those pesky, unconstitutional nuisances. 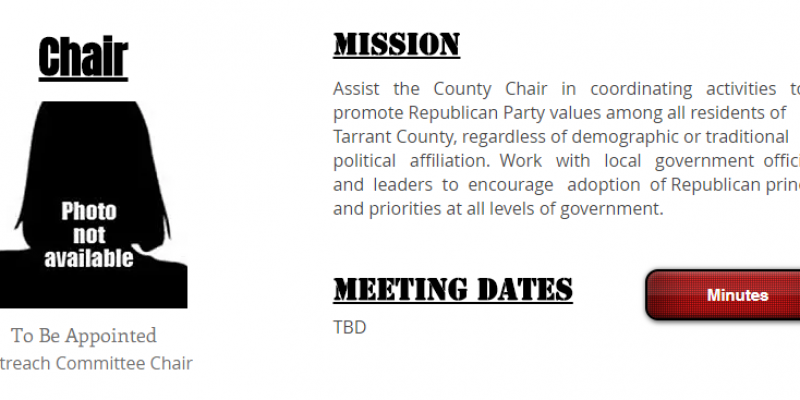 One would think the Party’s most basic positions on economics and regulation might be considered when appointing a person to lead the outreach arm of that local Party base, however, Tarrant GOP Chairman Tim O’Hare failed to mention any of Mrs. Robertson Cobern’s voting record when he asked the Precinct Chairs to approve her appointment this past Saturday. Now that her record is coming to light, Republican Precinct Chairs and local activists are calling for another vote on her appointment to leadership. Their next meeting will be held in September, and O’Hare will either have to defend his not-so-awesome appointment or fall on his sword and admit he made a major mistake. With such a bad track record to defend, the mental gymnastics should be quite a show to watch.